We designed a Magento website to match the business requirements. 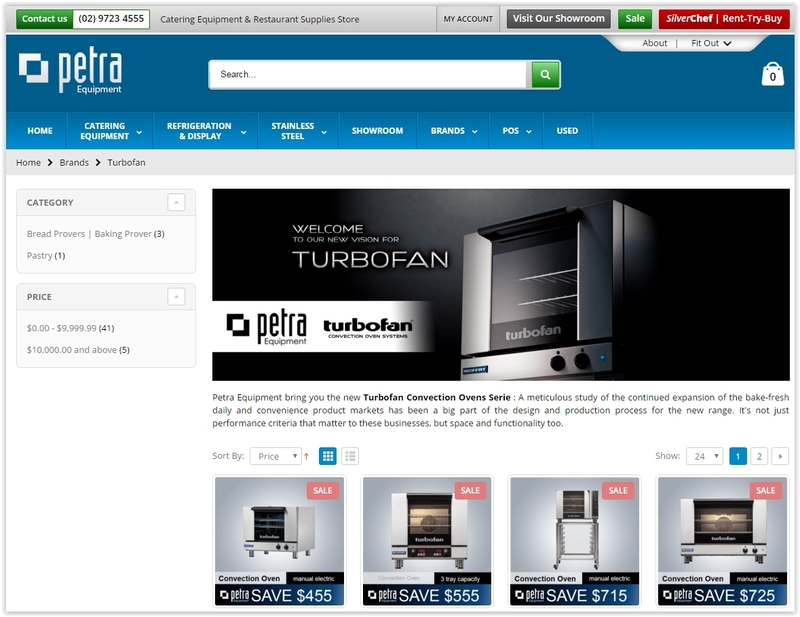 Petra Equipment is one of the most performing company in the Australian digital landscape. With a growth of 30% per year, the company succeed to take a leadership position in the commercial kitchen equipment segment. They provide pizza equipment, bakery equipment, restaurant equipment and butcher equipment. Some of their most popular products include pizza oven, combi oven & commercial chest freezer. We additionally design the new Petra Group website focusing on the shop fittings side of the business.